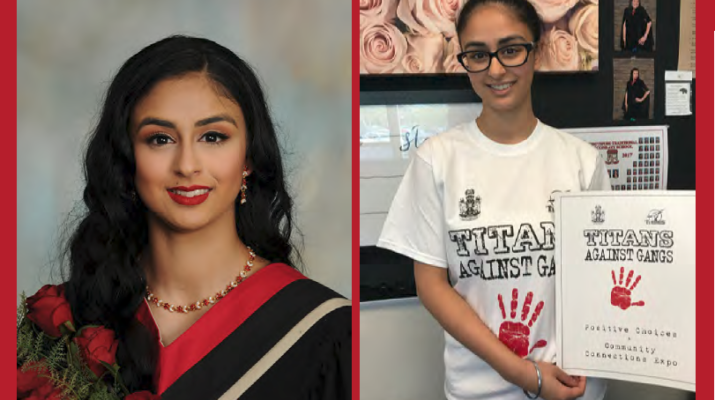 Abbotsford Traditional Secondary School is pleased to announce the Titans Against Gangs (T.A.G.) Expo that is taking place in the ATSS gym on Thursday, May 17th. 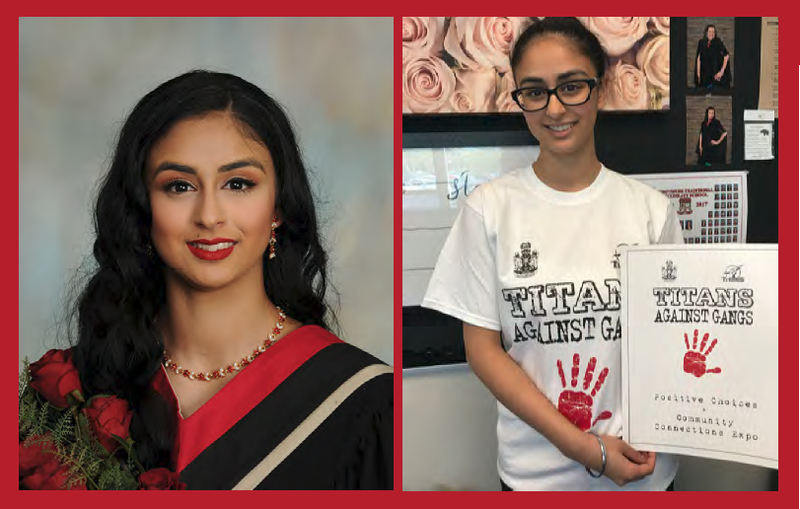 This is an initiative to challenge ATSS students to show their support with a personal pledge against gang violence which is a prominent issue in the Abbotsford community. 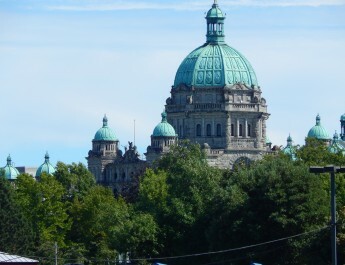 At this Expo, there will be many opportunities for both parent and students to learn about making positive choices and to connect with members of the community. Many well-known community stakeholders will be present during this Expo including the Abbotsford Police and Fire Departments, Corrections Canada, the RCMP, Mayor Henry Braun, and many more. What made you want to start the Titans Against Gangs initiative? I wanted to start this initiative to bring change to our Abbotsford community, where gang violence is drastically impacting the lives of the youth because of the choice of becoming a gang member. I was disappointed at reading some of the articles in the Abbotsford Newspaper, and it shocks me to think that teenagers around my age think that it is acceptable to pursue a lifestyle as an active gang member. However, this choice not only impacts a teen’s own personal life, but negatively impacts those who care for that individual the most. 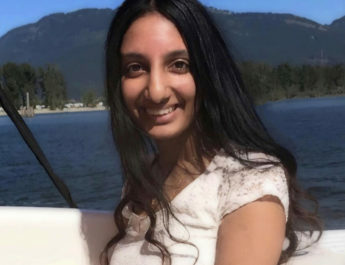 It was at that point where I felt that something had to be done, not only by our Abbotsford law enforcement team, but something that our Abbotsford community must work on to improve the future for the youth. What is involved in the personal pledge to healthy life choices that you and many other students from ATSS will be taking on May 17th? A personal pledge is not only a pledge to make healthy life choices and promote a positive lifestyle, but accepting this personal pledge means that you can become a leader towards a positive change. With your pledge, you can show your confidence, honesty, and respect, but inspires others to stand for the same cause. Why do you think that certain individuals in our community feel that the APD is not doing “enough”? I feel this way about our community because we don’t take the time to see the hard work and effort that our Abbotsford Law Enforcement team puts into protect our community. From the moment that they arrive to work to the last minute before midnight to clock out, these young men and women are expected to work every single day unaware of the events coming their way. We fail to understand the struggles that lies behind the uniform that they must wear every single day, knowing that this day might even be their last. 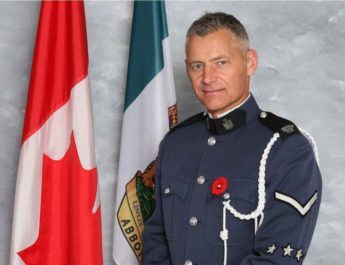 I want to acknowledge the dedication and commitment of not only our Abbotsford Police Department, but our Healthcare, First-Responders Unit, Fire Rescue Services, and many other important departments with the T.A.G. event. What can the community do to help promote healthy and positive lifestyle choices? There are so many ways for our community to help promote a healthy and positive lifestyle. It starts with showing compassion, kindness and respect towards each other. It can also be to work hard towards self-improvement and achieving goals for the future. Communicating with one another to encourage a positive energy and support each other through difficult times. These little steps build up to make a bigger change within our lives, therefore it is not important to consider other options like substance abuse, drugs, alcohol, and even violence to solve problems. Where do you see Abbotsford’s youth in the next 15-20 years? Is improvement a possibility? What needs to be done to make this improvement a reality? Improvement is only possible if we work together to show our awareness against these issues within our society. This initiative serves to encourage teenagers to work together to understand the consequences of our actions before it affects innocent lives. Just by making a pledge is a start of bringing a new change, and a new future for the future of Abbotsford. If you could send a message to all the youth and their parents in Abbotsford, what would it be? The best solution for any problem is to talk to someone who you can trust. From a friend to a family member, communication is the key that allows us to see a different perspective from our actions. It is best to let someone know before it is too late.